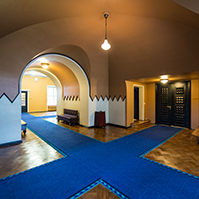 The Riigikogu passed with 66 votes in favour the Privatisation of Dwellings Act Amendment Act (573 SE), initiated by the Government of the Republic, which provides for the possibility for owners of dwellings to establish apartment ownerships and to encumber them with real encumbrance in public law. The Act gives an opportunity to establish the apartment ownership also to the persons who up till then could not privatise dwellings and establish apartment ownerships, because the debate over the privatisation of dwellings had not been completed. The Act appoints county governors to be representatives of the state in deleting real encumbrance in public law. 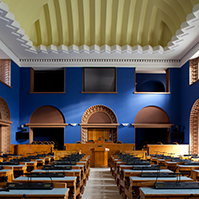 The Riigikogu passed with 50 votes in favour (5 votes against) the Planning Act Amendment Act (578 SE), initiated by the Government of the Republic, which amends the provision delegating authority included in the Act in such a way that the Minister of Economic Affairs and Communications has a possibility to include in the list of documents certifying professional qualification the documents certifying the professional qualification of architects in the Member States of the European Union, the list of documents certifying professional qualification of architect in a Member State of European Economic Area and in Switzerland. 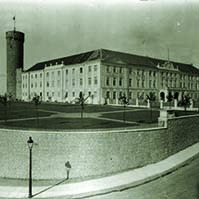 The named amendment is needed due to the obligation of the Republic of Estonia to automatically ensure the recognition also to the documents certifying the professional qualification of architect which have been issued in the Member States of the European Economic Area , but which are not the Member States of the European Union (Iceland, Norway, Liechtenstein), and in Switzerland. The Act also specifies the provision related to objections submitted to the planning. The Riigikogu passed with 66 votes in favour the Sports Act (514 SE), initiated by the Government of the Republic. The Act stipulates general organisational and legal bases for the regulation of sport, the bases for application and designation of state benefits to Olympic Winners, the bases of sports financing and the requirements for the organisation of sports events and the responsibility for the non-compliance with requirements. Comparing to the Act in force, the innovations are: the regulation concerning state benefits to the Olympic Winners and the requirements for the organisation of sports events and the responsibility for the non-compliance with requirements. 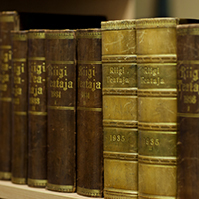 The Riigikogu passed with 61 votes in favour the State Fees Act Amendment Act (580 SE), initiated by the Government of the Republic, the purpose of which is the solution of problems encountered in the implementation of the State Fees Act and the harmonisation of the text of the Act. The Act also includes a principal change in the collection of state fees. The State Treasury takes the collection of state fees over from the Tax and Customs Board, in order to offer better service to its clients. 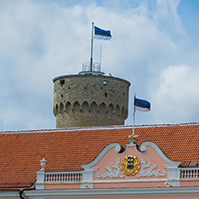 The Riigikogu passed with 54 votes in favour the Act on Amendments to the Act on the Accession to the Convention Abolishing the Requirement of Legalisation for Foreign Public Documents (526 SE), initiated by the Government of the Republic. 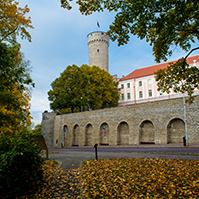 The integration of Estonia in the international life brings about the need to more often use documents issued in Estonia in foreign countries. This necessity arises for example due to the international movement of persons, workforce, capital and goods. The transnational communication presumes the recognition of each other as subjects under international law and the approval of documents of a foreign country by a certificate (apostille) is a procedure that is internationally stipulated to give reliable information about the origin of the document and to ensure the legal certainty of acts in the country of destination. The Riigikogu passed with 55 votes in favour the Act on the Ratification of the Protocol amending the European Convention on the Suppression of Terrorism (574 SE), initiated by the Government of the Republic, which amends the existing extradition treaties concluded between the Member States of the Council of Europe and agreements on mutual assistance in criminal matters. The purpose of the Convention is in case of certain offences to rule out the refusal of extradition on the basis of political crime exception and to strengthen its implementation mechanisms. It also opens the possibility to the non-contracting parties to accede to the Convention. The Bill on Amendments to the Narcotic Drugs and Psychotropic Substances Act and Associated Acts (383 SE and 567 SE), initiated by the Government of the Republic and Members of the Riigikogu Marika Tuus and Kaarel Pürg. The Bill on Amendments to the Gambling Act and Lottery Act (594 SE), initiated by the Government of the Republic. At Question Time Minister of Agriculture Ester Tuiksoo answered the questions about the management of AS Werol and about the prospects of family farms. Minister of Defence Jaak Jõerüüt answered the question about the national defence share in the GDP. Minister of Finance Taavi Veskimägi answered the questions about state ownership policy in business, state budget strategy, the loans of local governments and the wages of state public servants.